We have more Micro Budget Filmmaking this week with Sean Mannion, a Brooklyn based filmmaker. 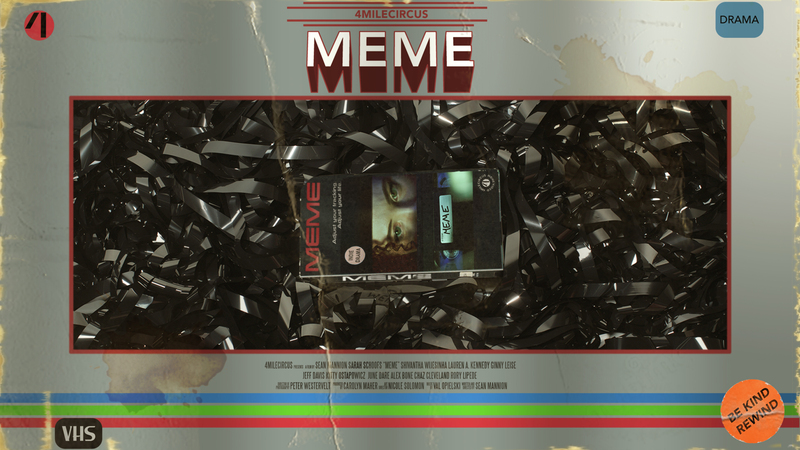 We talked about his award winning indie film MEME and his process for getting it shot, in the can, into festivals, and distributing the film himself. A great conversation and great insight from an interesting filmmaker. Meme began when I walked out of a screening of Harmony Korrine’s Spring Breakers in early 2013. I was inspired not by the content of the film, but by it’s form and what I saw as an interesting approach to reinforcing the drama of a film with nonlinear editing. It wasn’t the first time I’d seen this approach, Soderbergh’s The Limey had also struck me in this way years earlier. This formal approach sat in the back of my mind for several days as other pieces began to fall into place. 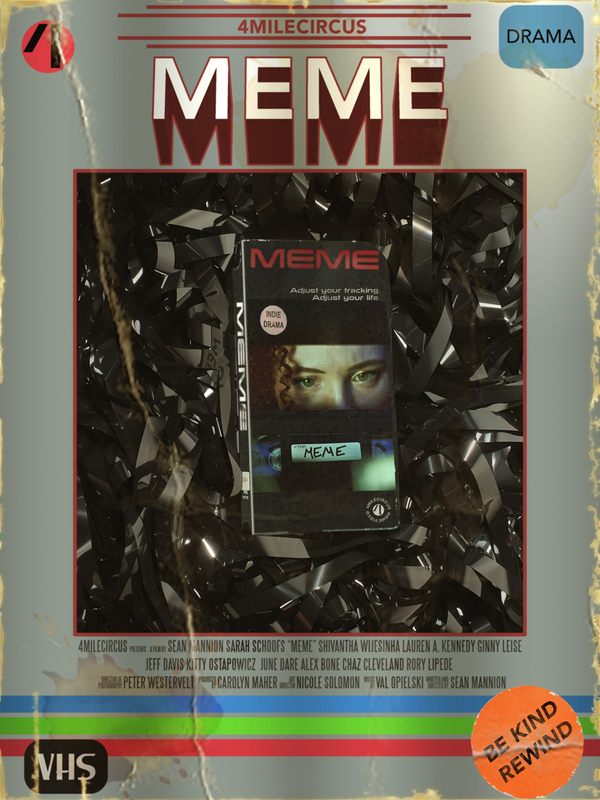 Much like Meme‘s protagonist, Jennifer, I began to assemble Meme from the pieces of my life. An outline for a sequel to Cronenberg’s Videodrome I’d assembled just for fun, my experience meeting collectors of VHS tapes at a Halloween event just a few years earlier, the frustrations of being a freelancer, the bizarre dehumanizing behavior of corporate clients, struggles with self-medicating with alcohol, fringe science, viral ideas, and the tension between authorial intent and audience experience that had fascinated me through my Bachelor’s Degree in literature. Through the film Jennifer transforms from a woman shyly accepting her lot in life to one who in fits and starts stands up for herself and takes charge of the direction of her life. It is a film about relationships: relationships with our lovers, with our friends, with our employers, and our relationships with our ideas. It embraces these relationships as fluid and understands that even when they don’t go as we’d prefer, they can still be positive. The experience I’m trying to communicate in this film is that of a time when someone makes the choice to change their life. It is never as simple as deciding to make a change and it is never just one thing that changes when the choice is made. The experience is messy and it can be hard to figure out exactly when it started and sometimes even what the sequence of events was. It was my desire to capture this in the form of the film, reflecting what I’d experienced in the aforementioned Spring Breakers and The Limey. The film presents events not with a temporal progression but an emotional one. It is a film about making the messy choices that are necessary to change.